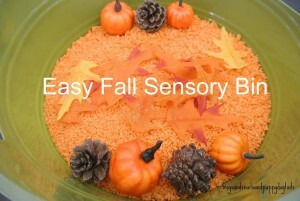 I have been wanting to try sensory rice with my son for some time now. I am so cheap sometimes that not until I had to put my son’s hand held radio in a bag of rice (because he threw it in the tub filled with water) to dry it out, did I know we would try colored rice! When the radio had dried out, it did work after doing this, I set the rice aside until I knew what I wanted to do with it. Well, this week was the week I knew what we would do with it. 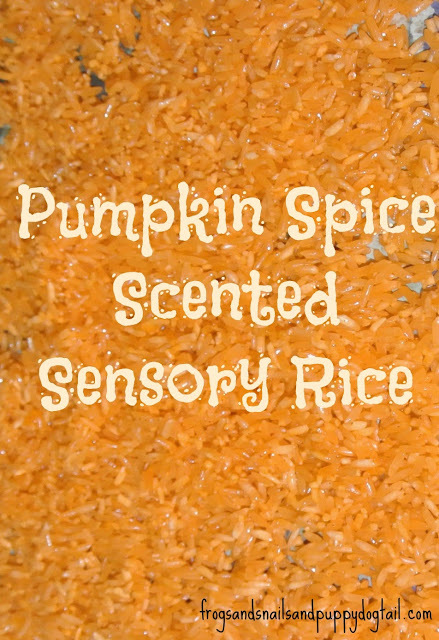 Pumpkin Spice Orange Sensory Rice would be perfect for playtime. a few cups of rice (you can use as little or as much rice as you want), food coloring, water, pan (or a metal or glass bowl), spoon, newspaper, and pumpkin spice. Put the rice in the pan. Then in a small bowl put 5 Tbl of water and mix in food coloring (I have a gel orange food coloring I used and we squeezed about 2-3 drops out). Add the mixture to the rice. Now stir until blended. Add a few sprinkles of pumpkin spice and mix again. My rice was slightly wet. I then transferred it to newspaper to dry overnight. My son got to help me make this and he had fun pouring in the color and mixing it up. The next morning we had a fun new sensory substance to play with. Now for the fun part, deciding how we want to play! Will post back later what we came up with. Great idea! Looks like a great sensory experience. Thanks for posting this! If you do this wirh ribbing alcohol instead of water the color will not come back off on your hands later and it dries in 5 minutes without the rubbing alcohol smell! Oh, how fun!! 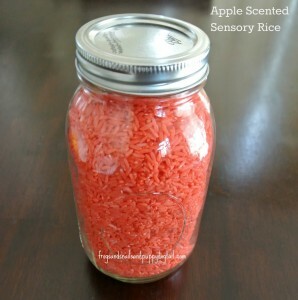 I just made my first batch of sensory rice and my daughter loves it. Thank you for sharing at Sharing Saturday! I have also colored rice many many times but I have never thought to add a scent to it. Brillant! 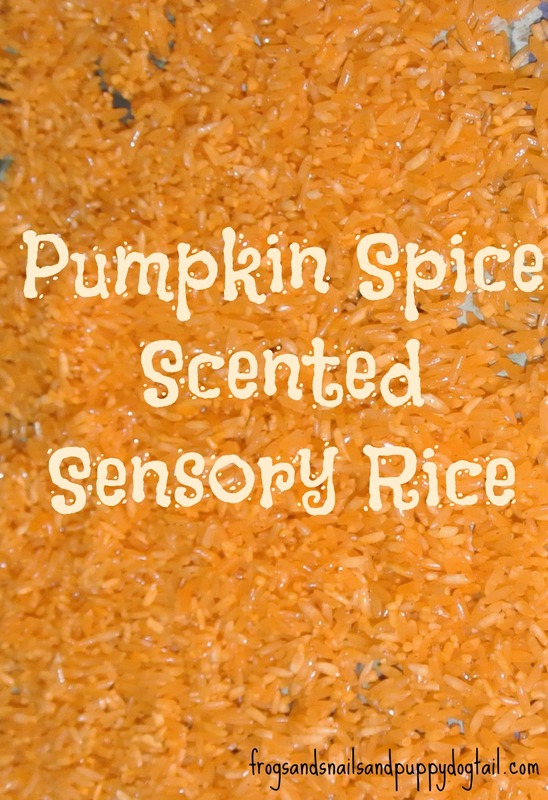 I’ve been wanting to try colored rice, and I love the idea of adding some scent! I’m getting ready to put together a Halloween sensory bin and saw this via Pinterest just in time. I just mixed up a batch and I’m waiting for it to dry. Thanks for sharing!